Neve Campbell at the Spike TV's 2008 Scream awards. Neve Campbell at the "Rock The Kasbah" fundraising gala. Neve Campbell at the premiere of "Gone Baby Gone." Neve Campbell at the VIP Screening of "The Company". Neve Campbell at the premiere of "When Will I Be Loved". Neve Campbell at the Nijinsky Awards Ceremony. Neve Campbell at The Orange British Academy Film Awards. Neve Campbell at the AFI film festival for ""The Company". Neve Campbell at the premiere after-party of "Matchstick Men". Neve Campbell at the 29th Annual Toronto International Film Festival for "When Will I Be Loved". Neve Campbell at the UK premiere of "The Bourne Ultimatum". Neve Campbell at the Film Independent's 2007 Spirit Awards. 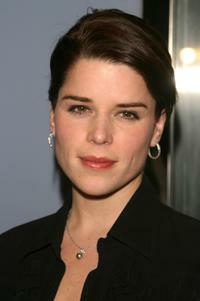 Neve Campbell at the 100th episode of "Party of Five". Neve Campbell at the premiere of "Gone Baby Gone". Neve Campbell at the 3rd Annual Charity Gala for "An Enduring Vision". Neve Campbell at the Celebrity Gala opening for National Tour of "Movin' Out". Neve Campbell at the Laurence Olivier Awards. Neve Campbell at the 2005 Television Critics Winter Press Tour.